Not much exciting happening around here – I’m trying (although not really hard enough!) to get a bit of Christmas knitting done. 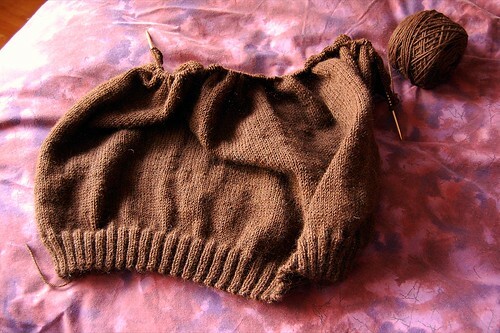 This is a plain vest for my grandfather, being worked up in Ultra Alpaca in a nice brown. I’m actually nearly done now, on the second upper front (the body’s knit in one piece). Then just bands and buttons to go. It should be done in time! But knitting something for my grandpa means I should probably knit something for my grandma, right? 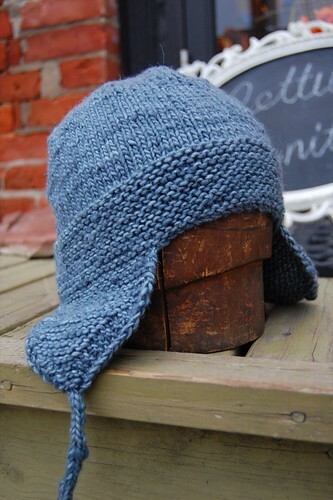 I knit her a tam a few years ago that she used a lot, so now I’m thinking of maybe knitting her a slightly fancier one. Nothing too slouchy. Then there’s weaving to do, designing that I want to get done. I’ve got lots of ideas but somehow the energy just isn’t there! I think I’m feeling a little overwhelmed with everything that I want to get done that I just…don’t do anything. I’ve hardly knit at all this weekend! I’ve been cooking and lots of other stuff, but not really knitting. I’ve got to get back on that. 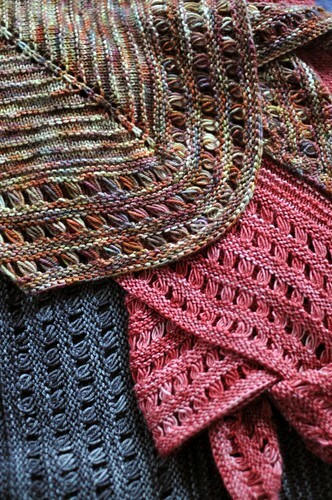 I used Fibre Company Terra, which is one of my favourite yarns! 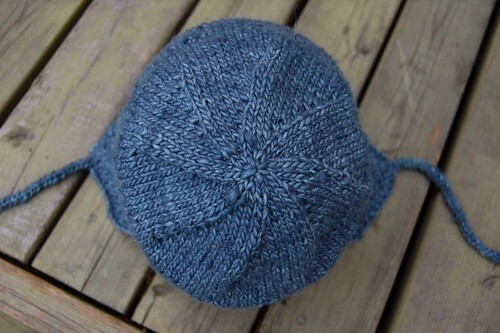 It’s too bad the yarn comes in such a small skein though – I had to use 2 to make this hat. It was fun to do a project that turned out well and was so quick! I’ve been making a bunch of easy pattern cards with patterns like this, the simple shawl, wristwarmers, the red shrug, and so on. I’m hoping to soon put out a sheet of available patterns for wholesale, but that’s a ways off right now. I love that colour. And the swirl! So, the hat is not a Thorpe? Very cute hat!! A simple and elegant design. Please see my blog. Thanks. In the photo of the “earflap hat” what size is this hat? My grandson is turning 2, would the child size s hat be a good size for him?